I always seem to pack the wrong things. This year it’s worse. This year I have three days of workshops, two days of festival and one girls day out. To make matters worse, accu-weather shows temps going from 52 to 79. So now I have even more clothes to pack. I have clothes there, but they are not something I want to wear in public. I got out three little tote bags, one for each workshop. I just have to remember to pick up the right one each morning. Maybe I’ll leave them all in my car. I also have a big tote bag for shopping. I made a list so I wouldn’t forget the important stuff. When I get to my son’s, I have to go to the market for lunches. They have tuna, chicken and shrimp salad. I’m taking lettuce, bread and oranges. My son makes great iced tea, so I’ll grab a bottle of that each morning. Along with coffee, of course. I was hoping to get my toe socks finished, but I don’t think that’s going to happen now. I will be working on what I learned that day in the evenings. Also, my son likes me to go shopping with him for some reason. 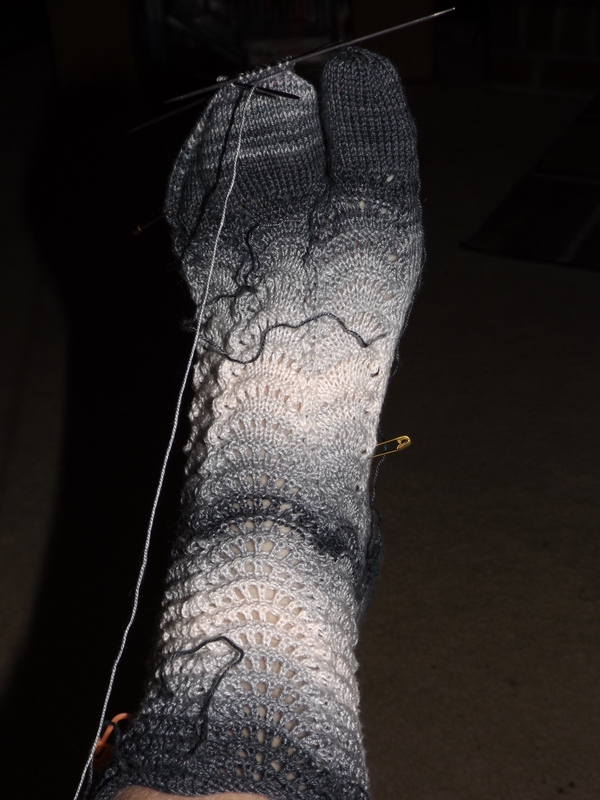 This entry was posted on April 28, 2014 at 9:00 pm and is filed under Knitting. You can follow any responses to this entry through the RSS 2.0 feed. Both comments and pings are currently closed.